I love Sentinels of the Multiverse, even though my friends and I lose nearly every time we attempt to stand up against Baron Blade and the forces of evil (don't get me started on Omnitron). 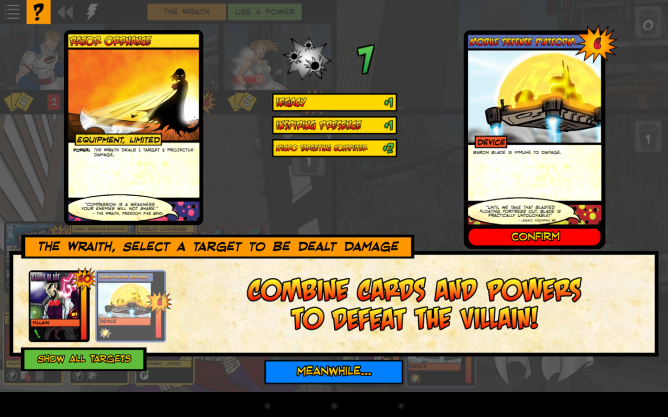 There's just something about this comic book-inspired card battle game that makes me want to give it my all and work with my teammates to resist the waves of damage being heaped upon us by villains and the environment alike. 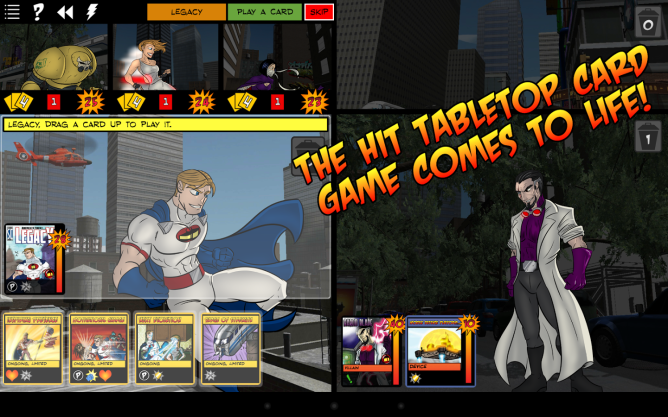 Now that Sentinels of the Multiverse has made its way into the Play Store, we can do the same in video game form by passing around an Android tablet. 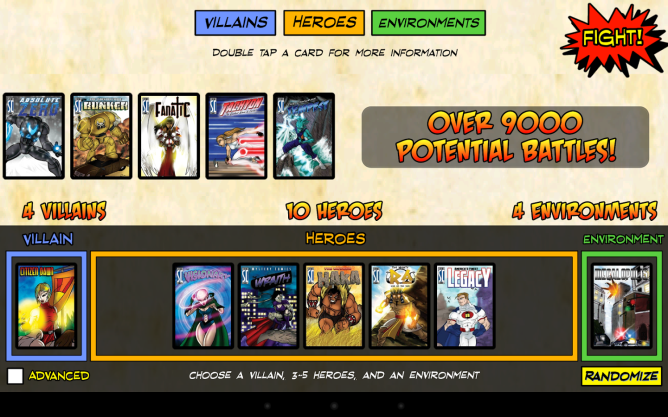 This digital adaptation simply crams the deck-based game into a tablet-friendly format. This isn't a platformer, an action game, or an RPG. Consider it the equivalent of buying the basic set for your Android device. You get ten heroes (Absolute Zero, Bunker, Fanatic, Haka, Legacy, Ra, Tachyon, Tempest, The Visionary, and The Wraith), four villains (Baron Blade, Citizen Dawn, Grand Warlord Voss, and Omnitron), and four environments (Insula Primalis, Megalopolis, Ruins of Atlantis, and Wagner Mars Base). The rules have been vetted with experienced players, so if you're unsure how to play the card game, you and your friends can consult this app to see how it's done. 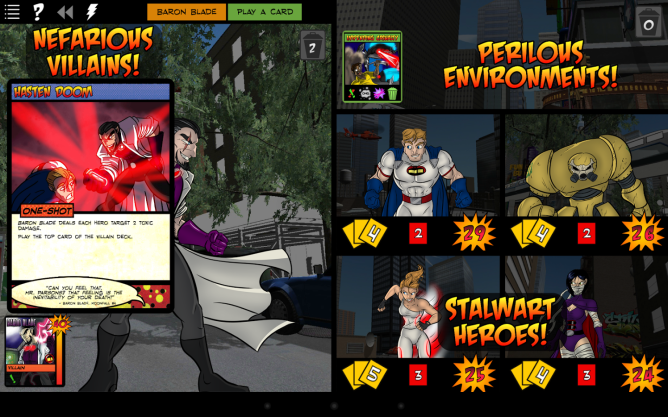 The Android version of Sentinels of the Multiverse carries over the artwork from the card game, so fans will feel right at home. The environments have all been fleshed out with original music, and the official Sentinels theme is here to set the mood. Everything goes for $9.99, and there are no in-app purchases. The game is launching simultaneously for both Android and iOS today, and if it does well enough, hopefully we'll see expansions arrive in the future. That way some of my favorite characters can enter the mix. Omnitron-X, anyone?